Weather science is a fun activity for kids of all ages. 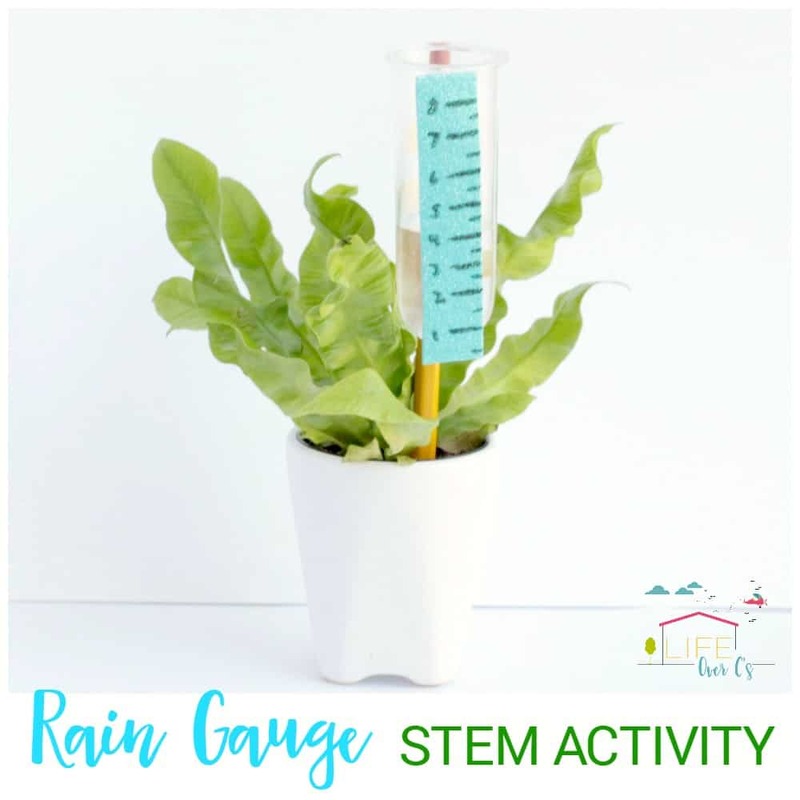 This rain gauge STEM activity offers a fun way to learn with kids over a period of several months. 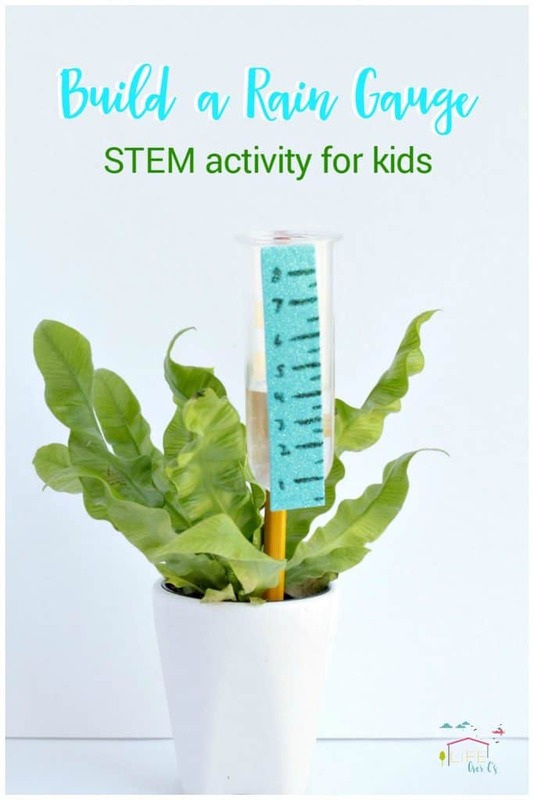 After you build a rain gauge, record your rainfall results for a STEM activity that keeps going! 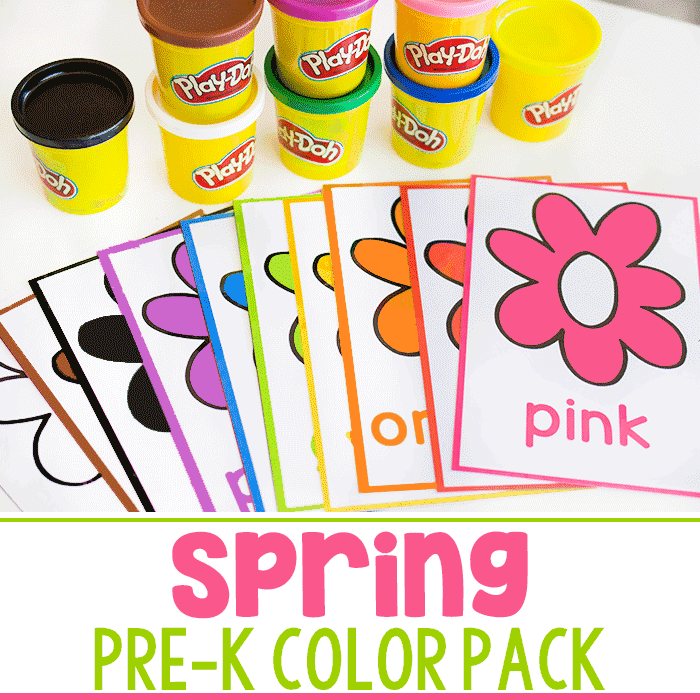 Kids can learn a lot about weather, rainfall, and how dry or wet your climate is when completing this activity. 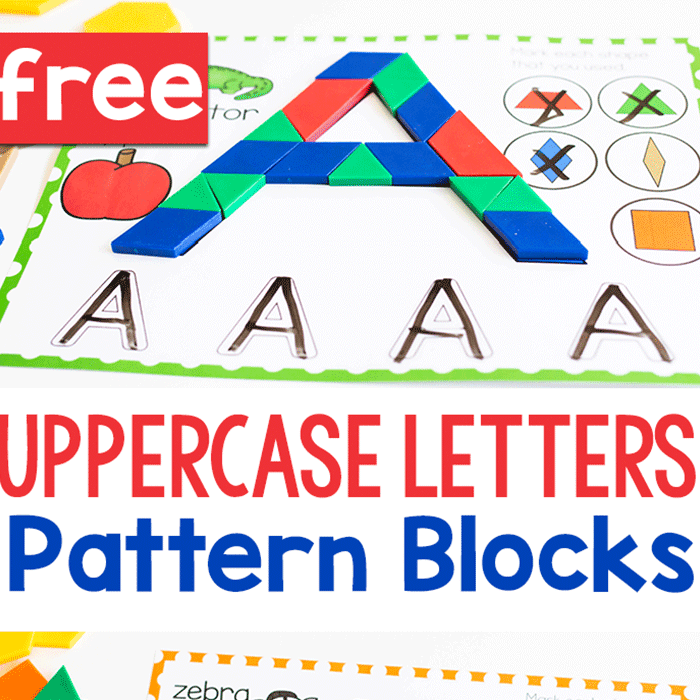 This STEM activity includes all major elements of STEM, including science, technology, engineering, and math! 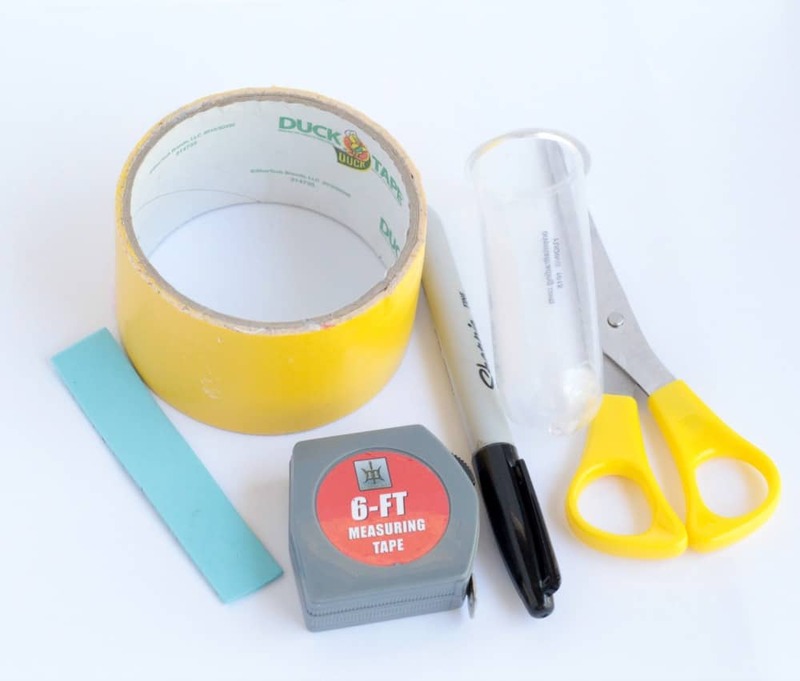 Use this rain gauge activity to add to a complete weather unit study for even more weather learning fun! 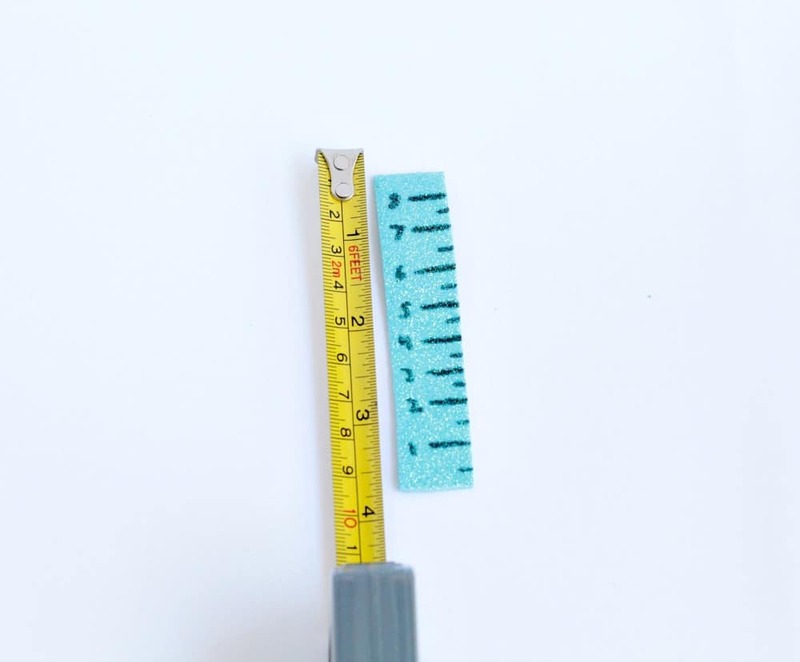 First, measure the height of your test tube. We decided to use centimeters to measure our rainfall. 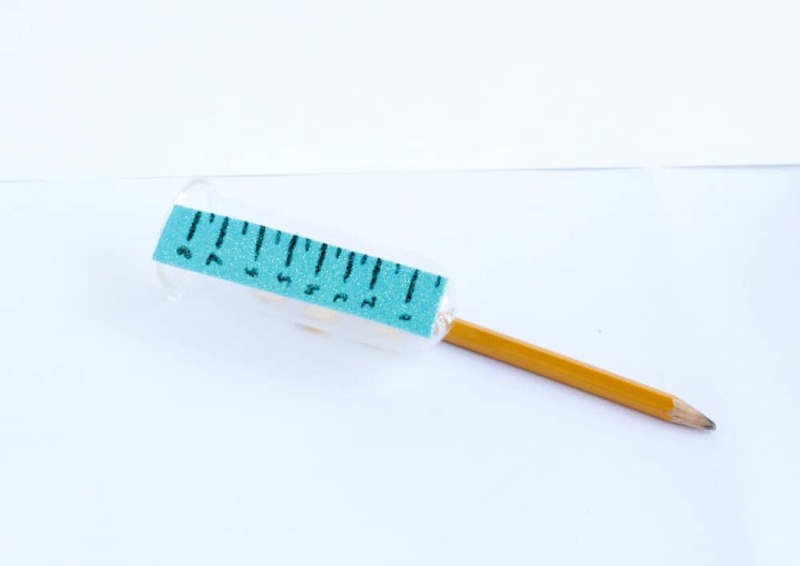 Cut a piece of craft foam as tall as your test tube and about one inch thick. 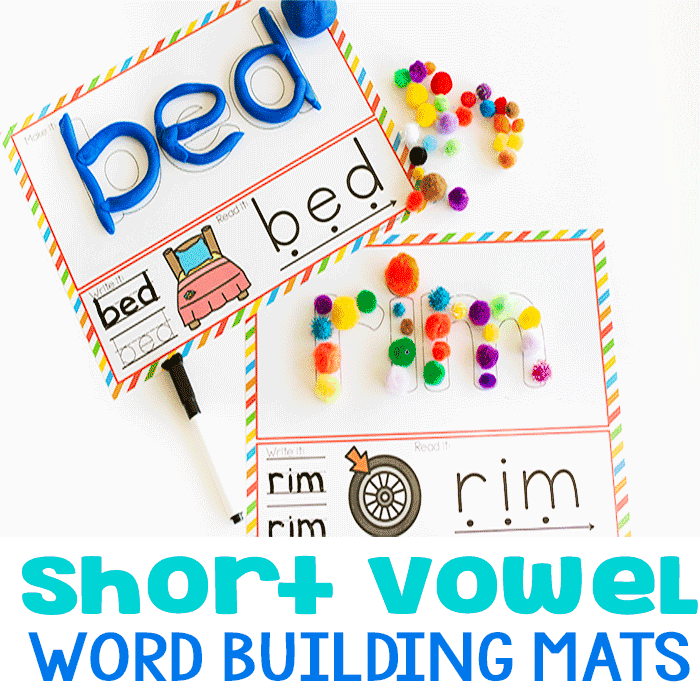 Mark the centimeters (or inches) on the craft foam with a permanent marker. Glue the craft foam to the outside of the test tube. Tape the pencil to the other side of the rain gauge leaving enough pencil to stick into the ground. Place the rain gauge in an open area. We put ours in a flowerbed outside our house. 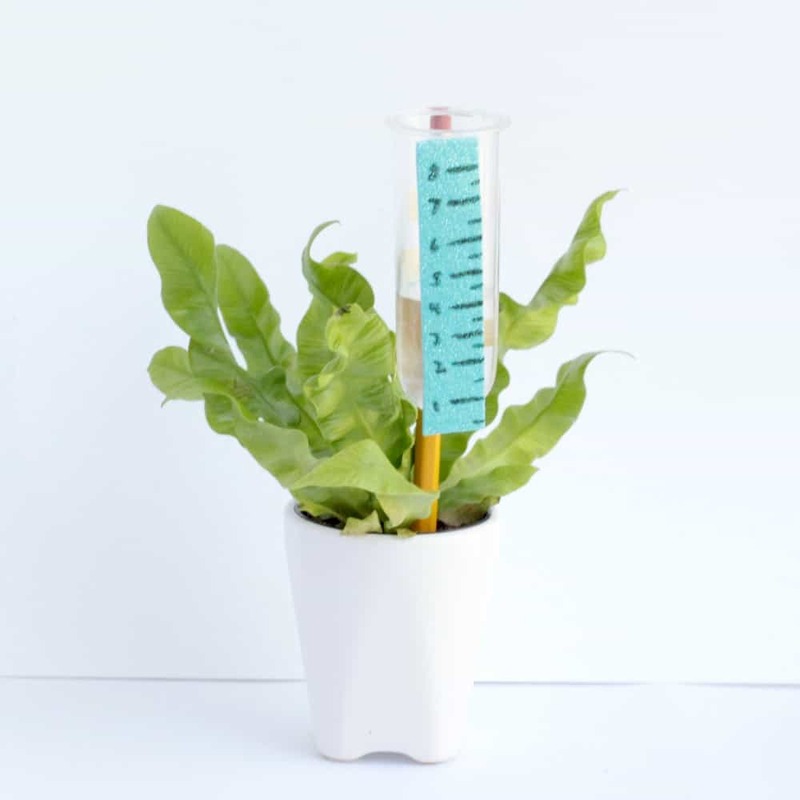 After the rain stops, measure the amount of rain in the test tube. Don’t forget to empty out the rain gauge between thunderstorms! Record your results each time after it rains. Track the pattern over a season. Does it rain more at the beginning of the season or the end? Does the time of day matter for how much it rains? Does it rain the same amount each time it rains? 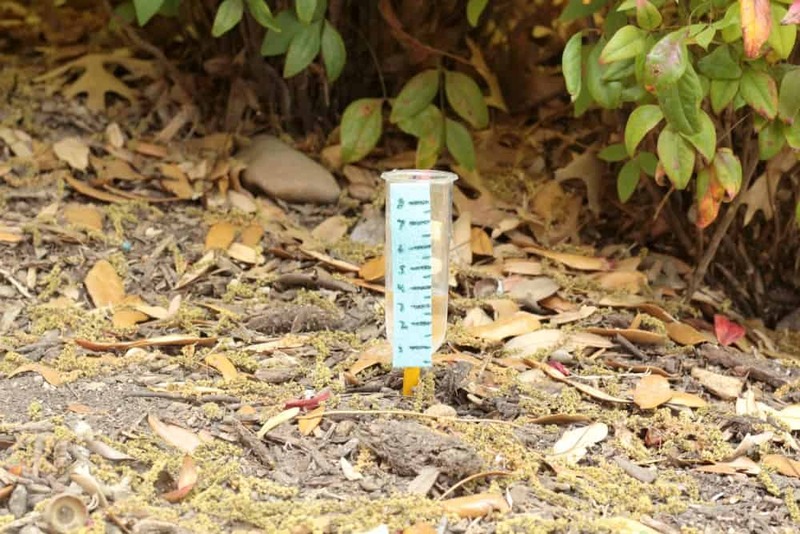 What happens when you move the rain gauge to other locations? Do you collect more rain?